A calving ease son out of the popular Black Magic. 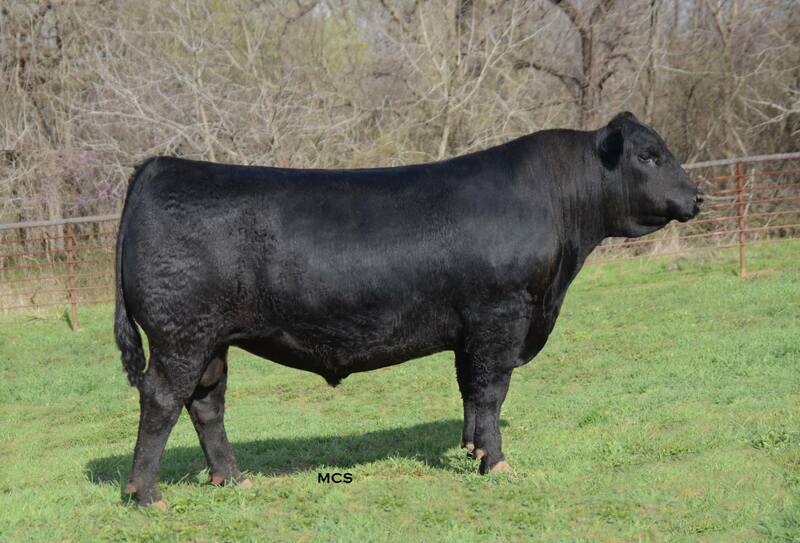 Blackstone posted sensational ratio's to go with his impressive genomic profile (BW ratio 96, WW ratio 111, YW ratio 111, IMF ratio 129, and Ribeye ratio 116. He is in the top 25% in 21 out of the 25 EPD categories while having a top 20% for tenderness on his genomics, one of the most complete bulls in the business. Blackstone is super sound with good feet and legs and daughters should be standouts, dam and paternal sisters have perfect udders. If you want it all, use this calving-ease long-spined smooth power bull.